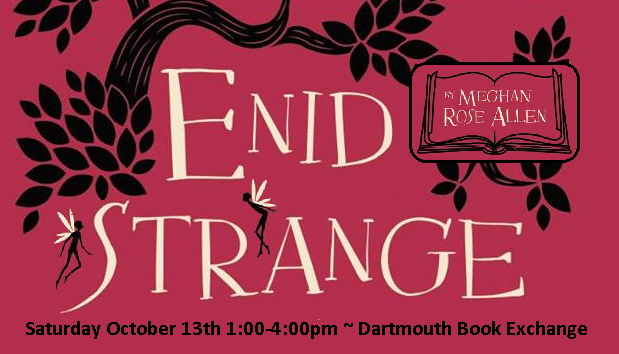 This Saturday come see Maritime Author, Meghan Rose Allen between 1pm and 4pm. She will be at the store with her recently published book Enid Strange. Enid Strange is an 11 year old, who knows and sets out to prove that Faeries are real by writing a book on how to see them.